Payday is hoping to raise $1,000 to help continue to cover the West Virginia Teachers’ Strike this week. Already, Payday has been a leading national voice on the West Virginia Teachers’ strike. So far, we have filed more than 10 stories on the strike and discussed the strike in detail with Amy Goodman and Juan Gonzalez on Democracy Now! However, we need to get back on the ground to file more stories. 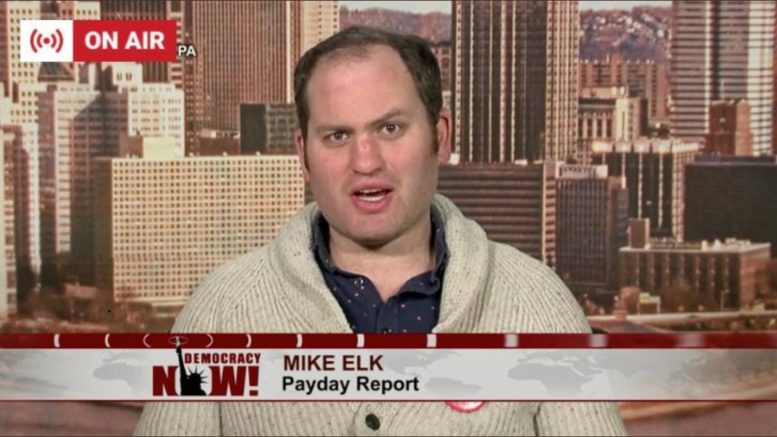 Recently, Payday Senior Labor Reporter Mike Elk’s car broke down and we will be using most of the money to rent a car and pay for wrap-around service. Additionally, we will need money for hotel rooms, gas, and food while we are out on the road. So donate today and help us to keep telling this inspiring story. Be the first to comment on "Help Us Raise $1,000 For W.V. Teachers Strike Coverage & Costs of Rental Car & Gas"